When I saw that Pop Culture Reverie was hosting the Mystery Mania, I knew I had gotten a chance to talk about one of my favorite films. 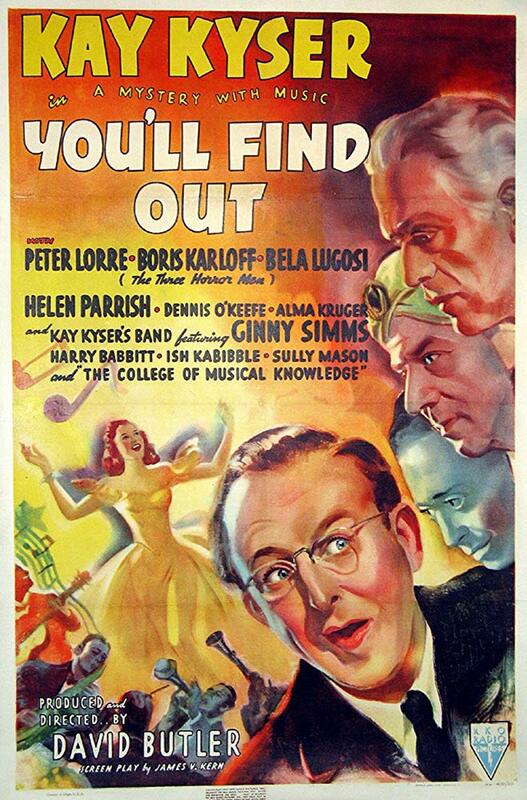 You'll Find Out is an underrated 1940 musical mystery. It stars Kay Kyser, Ginny Sims, Harry Babbit, Sully Mason, Ish Kabibble, Dennis O'Keefe, Alma Kruger, Helen Parrish, Peter Lorre, Boris Karloff, and Bela Lugosi. 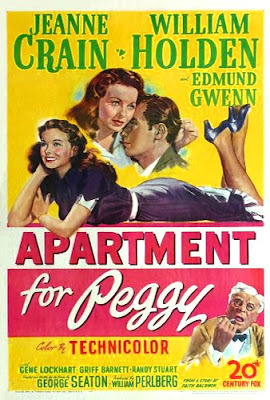 I have loved this film ever since I first saw it on TCM. If you want to check it out, I think it is on the Watch TCM App right now and it will probably be there for a few days. Kay Kyser and his band are doing a radio show. And in the audience is heiress Janis Bellacrest (Parrish) and her boyfriend Chuck Deems (O'Keefe). Kay and his band are heading up to the Bellacrest mansion to perform for Janis' 21st birthday party. Janis gets a chance to meet Kay before her and Dennis leave and after they go there is an attempt on Janis' life. Chuck thinks someone was just driving terribly, but Janis thinks someone is out to get her, since this has been the third attempt so far. We head over to Bellacrest mansion for Janis' party. Kay and his band arrive at the mansion not long before the only bridge leading to and from the mansion is destroyed by a lightning strike. Janis is disappointed because she was hoping to expose the man who has been posing as a psychic and stealing money from her aunt. 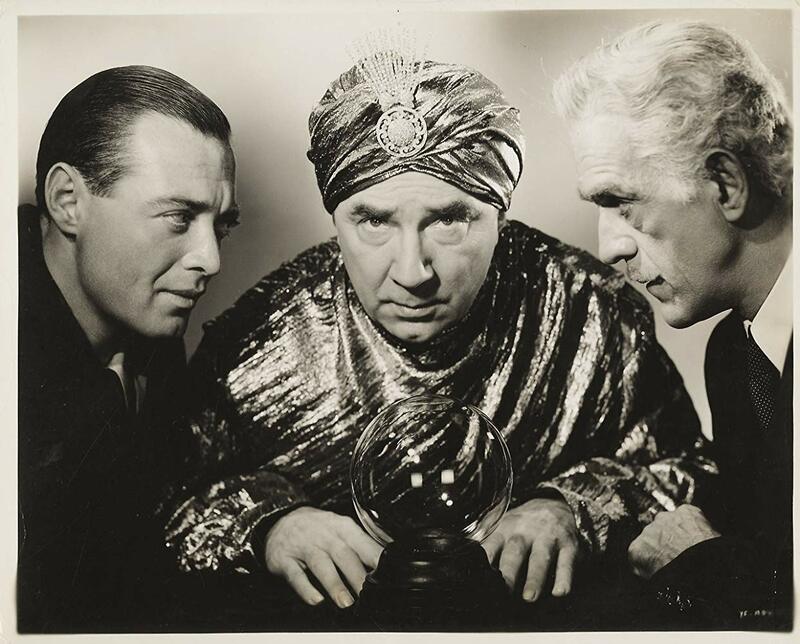 But her Aunt Margo (Kruger) refuses to believe Prince Saliano (Lugosi) would ever try to take money from her. Her late father's friend Judge Spencer Mainwaring (Karloff) is not entirely sure of his guilt either. Kay and his band perform a couple songs after someone tries to kill Janis again. And Kay decided he needs to start figuring out what's going on with the help of Chuck and his band mates. The man who Janis hired to help expose the Prince arrives. 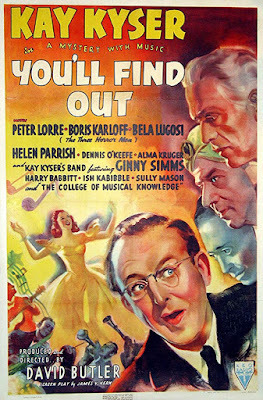 She is shocked to see Professor Karl Fenniger (Lorre) thinking he wouldn't make it since the bridge had been destroyed. He tells her he had arrived before the bridge had been destroyed. They eat dinner, Ginny Sims sings a song, and then Prince Saliano suggests he hold a seance to prove he isn't a fraud. The seance stars and the ghost of Janis' father comes through right before someone tries to kill her again. Everyone freaks out after that and the boys go looking for who might be trying to kill her. The culprits of course make themselves known after they try and kill everyone by blowing the house up. Thankfully, Ish's dog saves them all from that fate. The movie ends with a song and a happy ending. As I have stated before, I love this film! I love all the songs, and the mystery, and the chemistry Peter Lorre and Helen Parrish have. I'd Know You Anywhere and The Bad Humor Man are the best songs in the film. I'd Know You Anywhere was nominated for an Oscar for Best Original song in 1940. The three horror legends hold their own in this film and they seem to be having a good time. I like everyone in this film, except Dennis O'Keefe. He doesn't really stand out as much as the others and he plays second fiddle to everyone else as well. I can't stress enough how much I think you should check out this film! It is amazing and I know you won't regret it. This post was witten for Mystery Mania. If you want to check out the rest of the posts, go here. I've never heard of this film before. 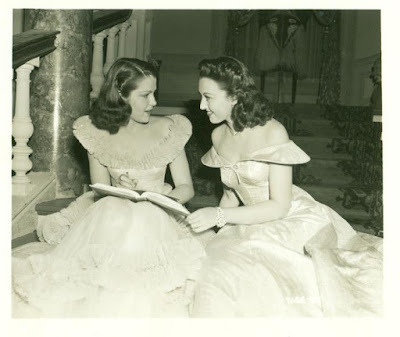 I remember Helen Parrish from a number of Deanna Durbin films. It looks like something I'll have to check out. You're welcome and thanks for letting me part of Mystery Mania! It was a lot of fun! You should check out the movie, it's pretty cool! Wow that is star studded! Out of all the post's so far for the blogathon This one is one I will search for!! Thanks for the heads up. Bob @ It Came From The Man Cave. Yeah, there are a lot of stars in this one. You're welcome and I hope you enjoy it Bob!